A team of researchers led by the University of Nebraska-Lincoln (UNL) and Huazhong Agricultural University in China has discovered two new fatty acids. The acids -- named for the sites of the two leading institutions, Nebraskanic acid and Wuhanic acid, make up nearly half of the seed oil found in the Chinese violet cress, a flowering plant native to central China. Most off-the-shelf vegetable oils, such as canola or soybean oil, contain the same five fatty acids, which all contain either 16 or 18 carbon atoms and feature similar molecular structures. By contrast, Nebraskanic and Wuhanic rank among a class of "unusual" fatty acids that contain fewer or more carbon atoms -- both have 24 -- and uncommon molecular branches that stem from those carbons. All known fatty acids generally obey the same instruction manual: They add two carbon atoms at the end of a four-step biochemical cycle, then continue doing so until assembly is complete. The Nebraskanic and Wuhanic acids appear to follow the traditional script until adding their 10th pair of carbon atoms, said Nebraska�s Ed Cahoon, a George Holmes University Professor of biochemistry who co-authored a published paper on the study. But after reaching that milestone, the acids appear to skip the last two steps of the four-step cycle, twice cutting short the routine to accelerate the addition of the 11th and 12th carbon pairs. The process also leaves behind an oxygen-hydrogen branch, or hydroxyl group, in the fatty acid chain. The unique assembly and structure of the acids could account for the corresponding oil�s superior performance as a lubricant. 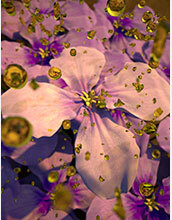 Compared with castor oil, the violet cress oil reduced friction between steel surfaces by 20 percent at 77 degrees Fahrenheit and by about 300 percent at 212 degrees Fahrenheit during testing. 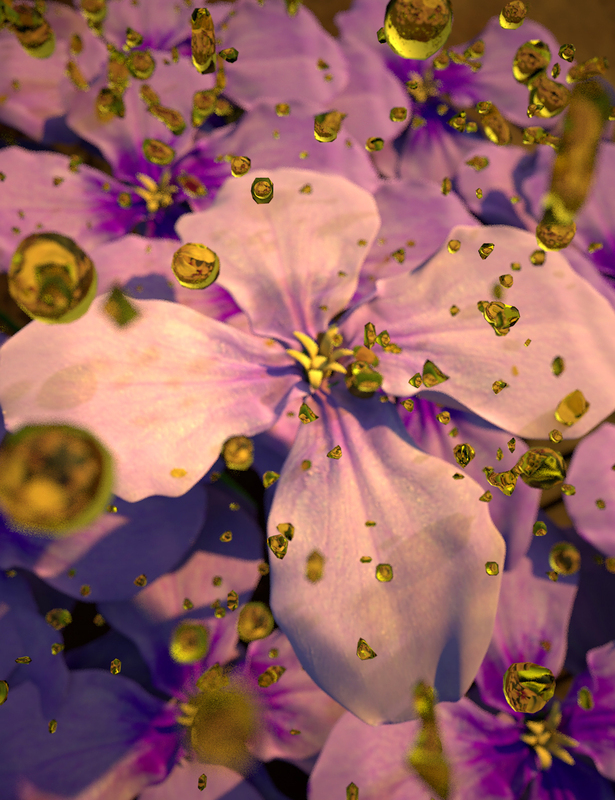 "When we saw the long-chain molecules and their arrangement, we knew the oil found in Chinese violet cress seeds would make an excellent lubricant," said Diana Berman, an assistant professor of materials science and engineering at North Texas. "This oil doesn�t just have the potential to supplement or replace petroleum-based oil; it can also replace synthetics. It is a renewable solution to a limited-resource problem." Cahoon said the team intends to further investigate how enzymes drive assembly of the fatty acids. Better understanding their architecture could also yield practical benefits, he adds.